“Married at First Sight” is a reality series developed by A&E Networks, where people agree to participate in an extreme experiment where total strangers get legally married. To promote the premiere of the new season, the show’s ad agency wanted to send out promotional kits to a select group of fans and media outlets. Fans were then encouraged to invite their “besties” to celebrate the premiere by hosting viewing parties. The goal of the promotional kit was to allow viewers to have a more interactive show experience. 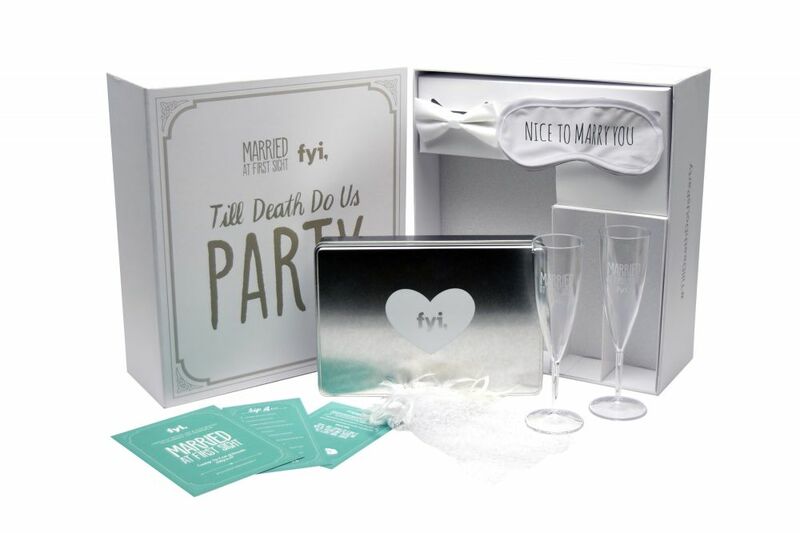 The show’s ad agency worked with Americhip to produce a branded promotional kit with various wedding favors, party games, and other miscellaneous items that were reminiscent of the show, including matching eye masks. 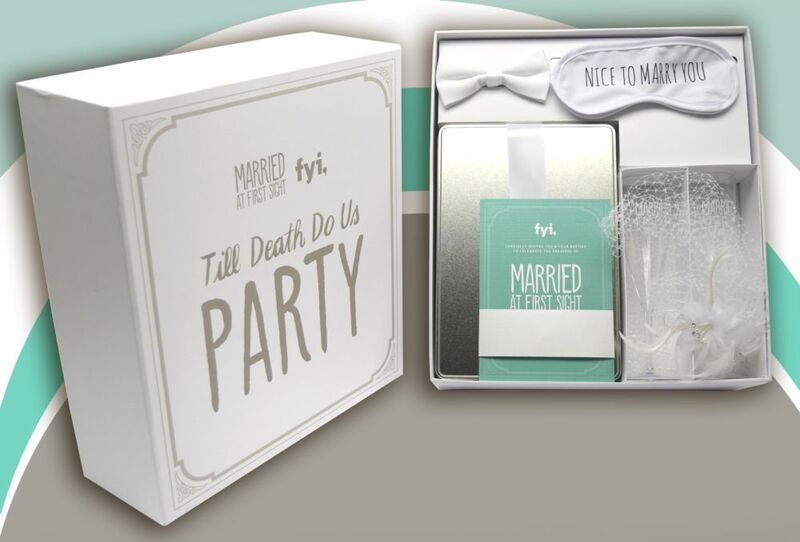 Other items included a bowtie, champagne glasses, a petite veil, and a tin of cupcake mix. Viewers were now able to drink, bake, and role-play along with the show, helping to create an “engaging” experience. Americhip’s paper engineering team also designed the large white box which had cleverly configured sections to neatly store all of the items. 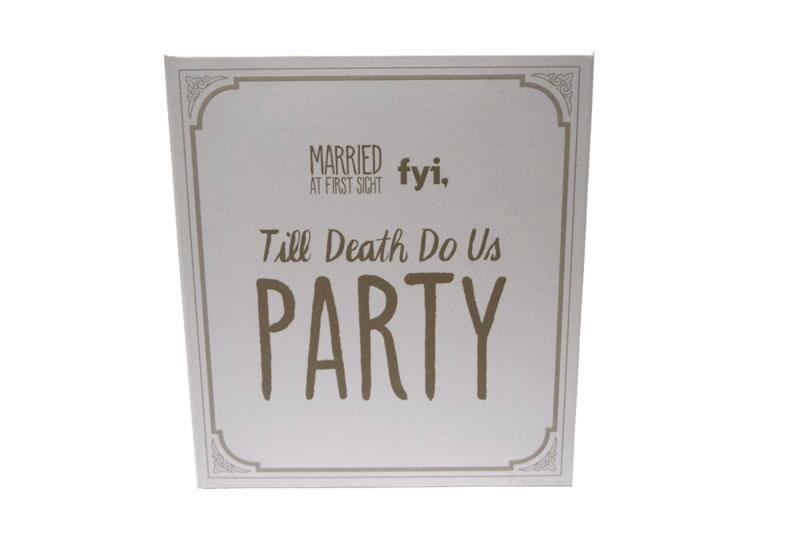 Fans of the show were now able to experience the show in a whole new way with the hope that new fans were also now “Married at First Sight”. Promote your new show, product, or service with specialty promotional items and packaging from Americhip.